Florida Local Planning Committee Efforts Underway – UNITY, Inc.
UNITY’s Executive Director Mary Kim Titla, San Carlos Apache, attended the meeting to discuss the importance of a local planning committee and to answer questions. “We have a small staff of five full-time employees and one part-time employee. The efforts of a local planning committee are invaluable. We rely on local tribal involvement to help produce an experience Native youth will remember for the rest of their lives,” said Tita. A big Thank you to Kyle Doney, Miss Seminole Tribe of Florida Cheyenne Kippenberger, Allison Osceola, LorenAshley Buford, Georgette Smith, and Melissa Billie for being part of the December meeting. 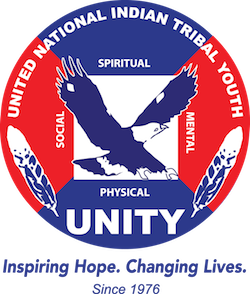 UNITY is excited to have the support of the Ah-Tah-Thi-Ki Museum and the Native Learning Center with local planning efforts. The group plans to meet through the spring to help plan conference activities.